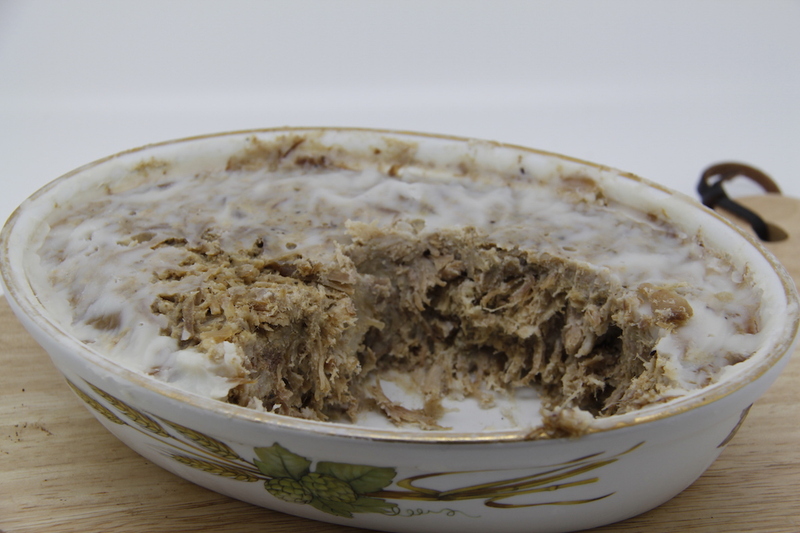 I had some pork shoulder leftover from making the Giant Pork Pie so I decided to make pork rillettes. The recipe says to use half shoulder and half belly, but I chucked in a bit of extra home-made lard to keep the fat content up. Rilletes are easy to make, delicious and last for quite a while in the fridge – for some reason I don’t actually understand slow-cooking them in fat preserves them. If sealed with lard and kept in an airtight container they should keep for weeks – actually it will keep for months. Pork Rillettes: 1kg pork (shoulder, belly – whatever), 300g lard, 100ml of water, salt and pepper, nutmeg, mixed spice, couple of sprigs of thyme, 2 bayleaves, 3-4 cloves. 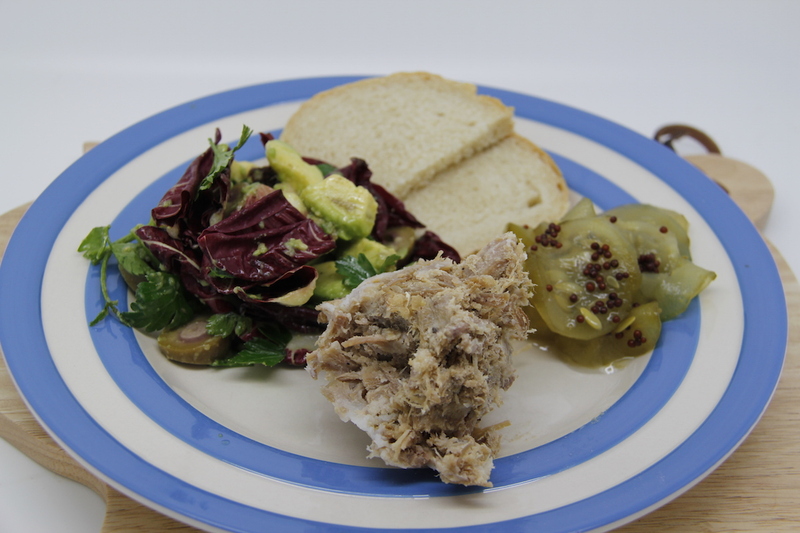 Serve with sweet pickled cucumbers to cut through the fat and also with a salad with a robust mustardy dressing.